In many situations, students face the provocation of efficiently devising a critical lens paper. This type of essay represents one of the most common assignments for both high school and university students. A lot of students are puzzled by this task and end up writing a regular essay instead of a critical lens one, which is a pretty serious error. This is why it is essential to be aware of the dissimilarities between ordinary essays and critical lens essays, which is precisely what we want to teach you in this article. Critical lens essays represent a type of paper demanded by a large number of American educational institutions. 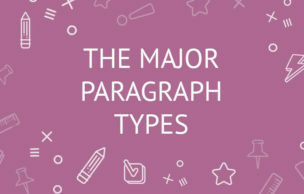 When you face the task of writing a critical lens essay, you are given a quote, and you are required to convey your individual perspective regarding it. You can either express your agreement or your disagreement with that specific quote. Regardless of whether or not you embrace the statement, you need to offer motivations regarding your personal viewpoint. When drafting a critical lens essay, you need to carry out a rigorous investigation of the quote, while taking into consideration the specific context of the publication from which the statement was extracted. The primary target of this type of paper is to evaluate your analytical thinking abilities. If you want to come up with an efficient critical lens essay, you need to read, comprehend, assess and examine the entirety of the topics that pertain to the context. When drafting a regular critical lens essay, the primary phase involves creating a proper outline. The outline represents a general picture of the whole paper, presented succinctly. During this step, you need to determine the format of your paper. When writing this type of essay, you need to be enthusiastic enough to reply to the primary topics approached by the particular quote. In case the given fragment entails more than a single topic, you’ll be required to approach every single topic separately. This way, you’ll make sure you address all of the topics in a holistic manner. When devising a critical lens essay, you need to attempt to accomplish three different targets, namely clarification, assessment, and interpretation. To ensure that the thoughts you wish to convey have an adequate flow and unity, you need to ponder on your opinions and devise a strategy attentively. Before commencing the writing process itself, you need to undertake a couple of preliminary phases. For example, you need to detect the elements used in literature, such as symbols, vocabulary, topics or style. First of all, the process of writing a critical lens essay involves offering a response to the perspective presented in the given quote. Afterwards, you ought to attempt to give a justification for that viewpoint using your own words. As expected, this type of paper needs to comprise an introduction, a body as well as a conclusion. The conclusion must summarize the entirety of the topics approached in the body paragraphs of your paper. The primary phase of the process of drafting a critical lens essay is devising the introduction. Here you need to specify the given quote in particular. In doing so, you are also required to indicate the essay writer as well as the book that contains the quote. For example, the opening phrase of your essay could look like this: “As revealed by Johnson, other individuals define our personality.” In other words, you should mention the quote at the beginning of your introductory statement. After that, you need to reword or paraphrase the quote. In doing so, you are required to acknowledge and interpret its significance. This way, you’ll be able to convey the message of the quote while using your own words. When dealing with a critical lens essay, you ought to avoid using the first person. The best way to go about it is to use the third person. Once you’ve finished the introduction, you need to take care of the body of the essay. To begin with, you need to reiterate the explanation you’ve offered in the introduction. The use of literary concepts is encouraged. The next phase involves an additional interpretation of the notions of literature. This step has the purpose of making a correlation between your perspective and the context. Here you may also summarize the intrigue of the book that includes the quote. Your target is to make sure that the discussion doesn’t stray from the context. 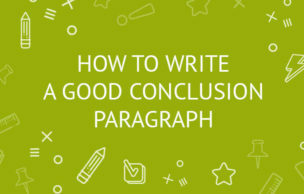 Last, but not least, you need to devise a conclusion for your essay. Here you are required to summarize the entirety of the issues you’ve approached in the paper. Moreover, you must reiterate your personal perspective and indicate the proof that substantiates it. Make sure you reread the essay requirements before completing this phase. The writer’s hidden message is more important than the visible one. The fight between good and evil is present in any book. We become better people by prevailing over challenges. The primary purpose of literature is to make opposition. We can see better when surrounded by darkness. Other individuals define our personality. Our courage is calculated based on our obedience to ourselves. In books, characters are defined by feelings instead of rationality. A fascinating tale in one town may be regarded as ludicrous in a different place. Books have the purpose of stirring up our hidden emotions.